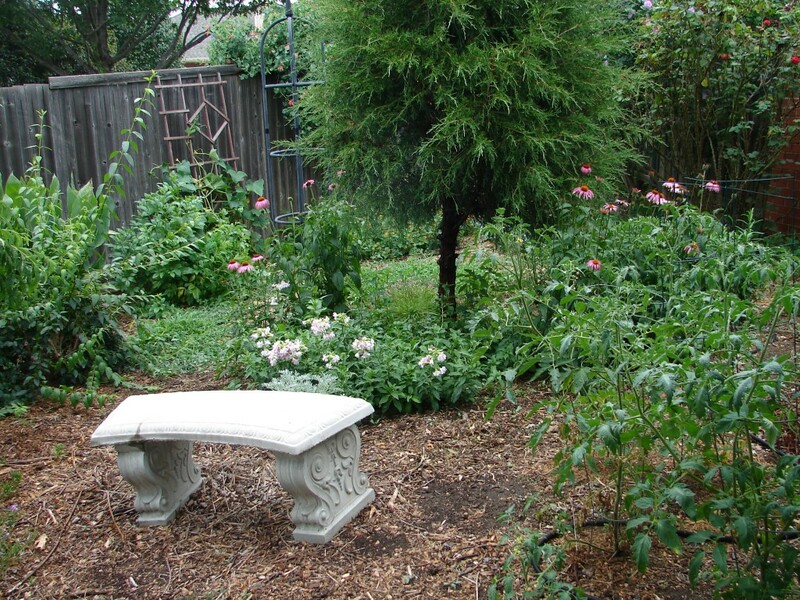 Walking through my garden this morning… there is such a lot of work to be done! It has been nearly a month since I have spent any real time there. Life just gets in the way sometimes, but it seems to hit full on in August just when things really need to get done for a fall garden. As frustrating as that is, it is also great to walk through the garden and see what all is still flourishing in spite of the neglect. There are butterflies and bees every where. We had our first pomegranate of the season! I absolutely LOVE pomegranates. I remember as a kid eating them at my great aunts house in Commerce, TX. She had three trees that grew beside her driveway (the old fashioned kind of driveway that was just two strips of cement with grass in the middle.) 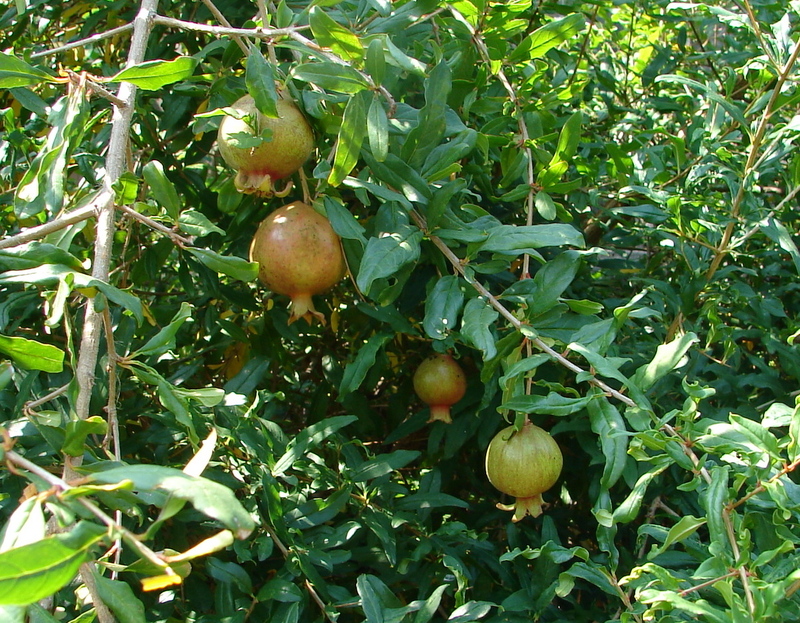 In the recent past, it would break my heart to go through the grocery store to see the pomegranates only occasionally sold as expensive “exotics” when I knew very well that they are perfectly happy to grow here. 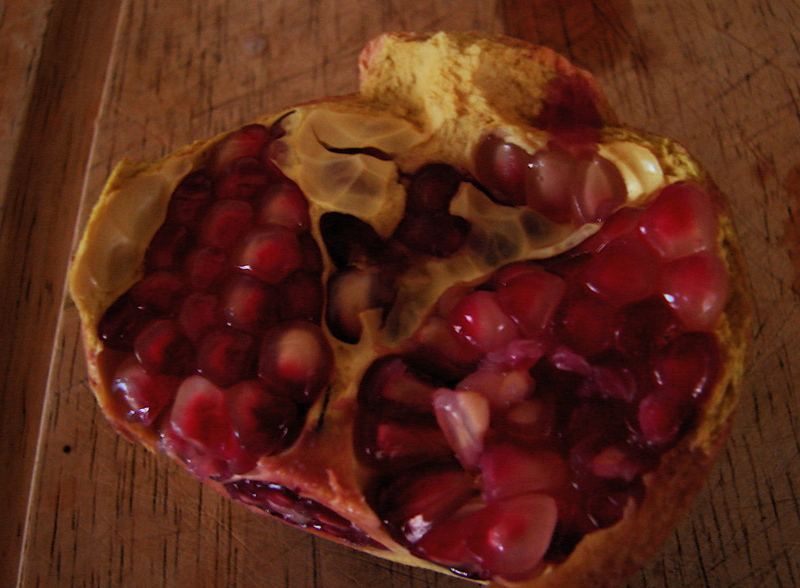 Our pomegranate tree is just now mature enough to produce anything of consequence. And it was wonderful! The tree (turned bush-like by this spring’s tornado) looks like it is loaded, too. We will have to prune it back heavily this spring so that it doesn’t completely kill out Great, Great Mamo Goode’s daylilies that originally lived just in front of it.. The apple tree is still maturing too. It had five apples on it earlier in the season and we are now down to just one. Hopefully it will make it all the way to harvest time. Our first pomegranate of the season! to being over 20 feet tall! And, boy does it look luscious! Maybe someday it will even produce a banana? I know… wishful thinking. The rest of the garden… like I said, there is a lot to be done… mostly in the form of pulling out dead plants. Poor things. It’s hard to go for a full month with barely a drink of water. As for getting things planted, let’s see. I have truly missed the boat on getting any melons planted. Luckily, I have some musk melons that decided not to wait on me and planted themselves. We haven’t eaten any yet, but hopefully they will be good. the tomatoes may be complete goners. 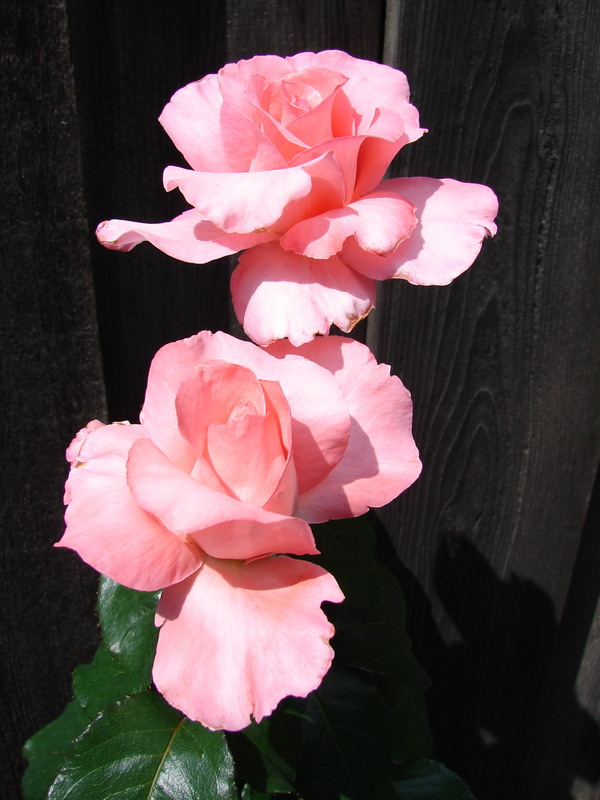 We will have to see if any creative pruning will revive the old plants, but it is too late for new plants. That is truly a shame! I have some pepper plants that actually look the best they have since I planted them this spring. Go figure. I have let the okra go. I should be horsewhipped for that one. OKRA! Gone. The green beans look like they are putting on a lot of new blooms. That is a good sign. But the fancy purple podded pole beans I ordered will have to wait until next year. So, of all the fancy seeds that I ordered for the fall garden, what can I still get planted? On a wild hair, I ordered some green globe artichokes. Since I have absolutely no idea when is the best time to plant those in Texas, I will go ahead and put out a few just to see. The clover should have been put out much earlier, but since it was intended as a filler for the lawn, I will go ahead and put it out too. Oh, who am I kidding. Even though it’s late, I will go ahead and put out at least some of almost everything that should have been planted earlier: basil, cabbage, amaranth. I’m only about a week past the recommendation for winter squash and pumpkin. They HAVE to go in. I have seed for Golden Hubbard Squash, Burgess Buttercup, Turks Turban and Baby Boo pumpkins. Hopefully some of these varieties will be forgiving of my delay. I’m still in range for the Thumbelina carrots, Brussels sprouts, cabbage, broccoli, and winter lettuce. I also still have several things that are waiting on September 15 (or later) to go in such as the sugar snap peas. I may be able to squeak out a fall garden after all. As much as I love all my friends and family and the many activities that we get ourselves into, a good portion of this weekend will be devoted to the garden. You are welcome to come and join me if you like. Oh, and wish me luck! Drinking beetroot juice boosts stamina and could help people exercise for up to 16% longer, a UK study suggests. A University of Exeter team found nitrate contained in the vegetable leads to a reduction in oxygen uptake – making exercise less tiring. The small Journal of Applied Physiology study suggests the effect is greater than that which can be achieved by regular training. 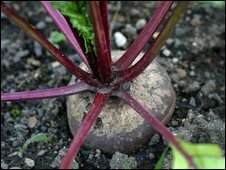 Beetroot juice has previously been shown to reduce blood pressure. We eat a lot of beets. We grow them. In fact, I should have a few more ready to harvest very soon! Last year was a very hard year with the loss of John’s father and his grandmother. We just found this piece that our son had written after attending Mamo’s funeral. He was kind enough to let me share it here. I had somewhat of a fear of graveyards and thought dead people might come out and attack me. I guess I was a little paranoid. Like the time my brother told me not to step on a crack. My step dad, John, told me it was a beautiful place and I didn’t have to worry about it, but I was still a little worried. We went to my Nana Phyl’s house to stay till after the funeral. It was pretty obvious that the news hit her hard. We stayed there until Sunday when the funeral began. The cemetery was nothing like the movies where the dead came out and attacked people. In fact, it seemed to be the exact opposite. The hill was a shining green meadow decorated with flowers like a giant bouquet. “Is there anyone who would like to share a story about Mamo?” The elder friends of Mamo began with stories about her and the things she would do. They weren’t big. Just small stories. And we laughed at the funny ones and cherished the thouching ones. Nothing was wrong with these cemeteries. They were like gardens for the elders. Shame to the man who thought of zombies coming from these gardens. And I guess it’s our own imagination that scares us. My son love apples. So in 2005 we got him an apple tree for his birthday. I know that it may seem like an odd gift to give an eleven year old boy, but it was actually very fun. It can take up to five years for an apple tree to start bearing and we now have our first four apples on our tree. With all the rain we have been having lately, it looks like one of the apples may be splitting. Hopefully we can hold on to the others. Now, if you live in the south, its not as easy as just sticking a tree in the ground and growing apples. When you think of apples, the first thing that comes to mind is Washington state or up state New York. That’s a long way from Texas. 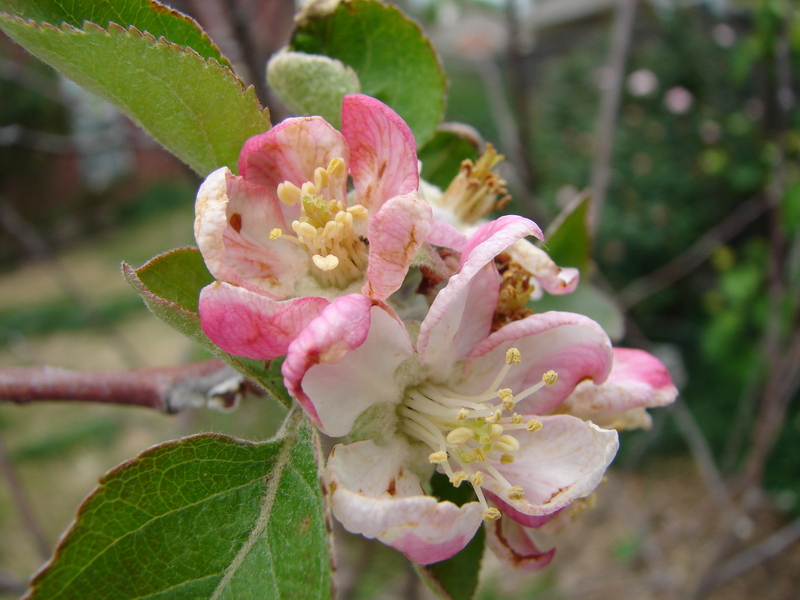 Here is the problem – most apples trees put fruit on through the summer to be harvested in early fall. Well, in Texas the temperatures can still be in the hundreds all the way deep into September. Unless an apple produces extremely early or late, it will cook on the tree and you will produce a lot of mushy and not necessarily flavorful apples. So, when we went looking for an apple tree, we knew we had to be careful. We also wanted an heirloom type apple. It was a long search, but we finally decided on an Blacktwig from Century Farm Orchards. 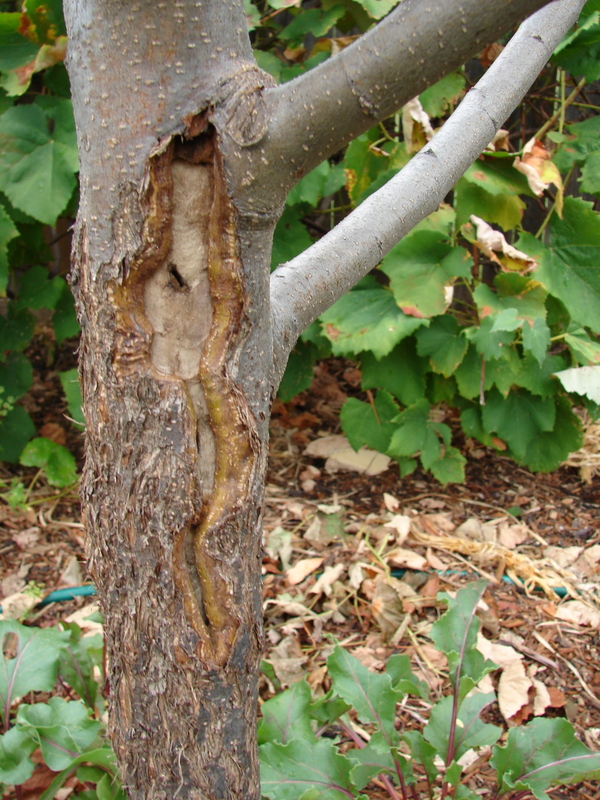 Even though this tree is disease resistant, it has suffered some damage from the cats using it as a scratching post. I need to wrap the trunk with chicken wire to get the cats to leave it alone and use the sick tree treatment on it, but I think we can get past the damage. 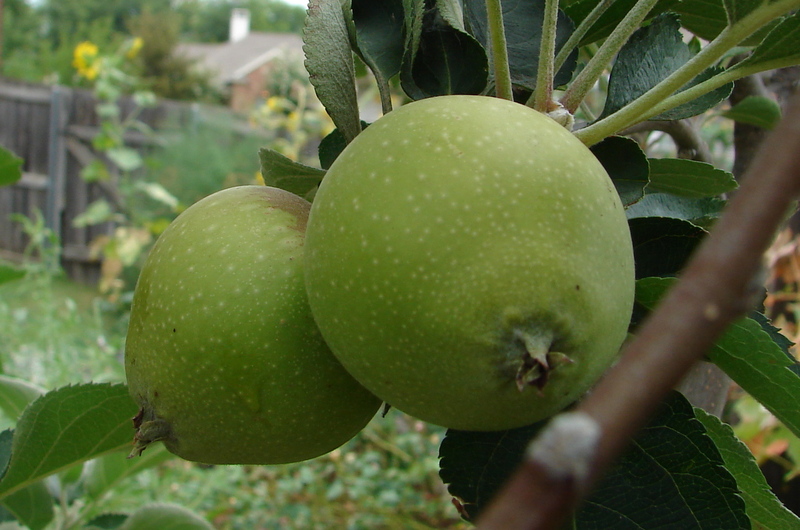 There is a small family orchard that has been for sale in John’s hometown of Hannibal, MO. We always pass by it with longing in our hearts every time we go back to visit. We dont’ have room here for an orchard and we may or may not be able to get much from this tree before we end up having to leave it, but hopefully Travis will be able to have a few apples from his tree before he leaves for college in four years! It’s time for fall planting and I have laid out the plan. Of course, being sick for the past week has already put me behind, but planting is not all that labor intensive and it’s still possible to catch up. It’s pulling up all the old stuff and figuring out where to put everything that’s the hard part. So here is the fall planting schedule. Time to clean out and make room. Now, if I can just beat this summer flu and stay well I will be all set. We finally got our mulch! 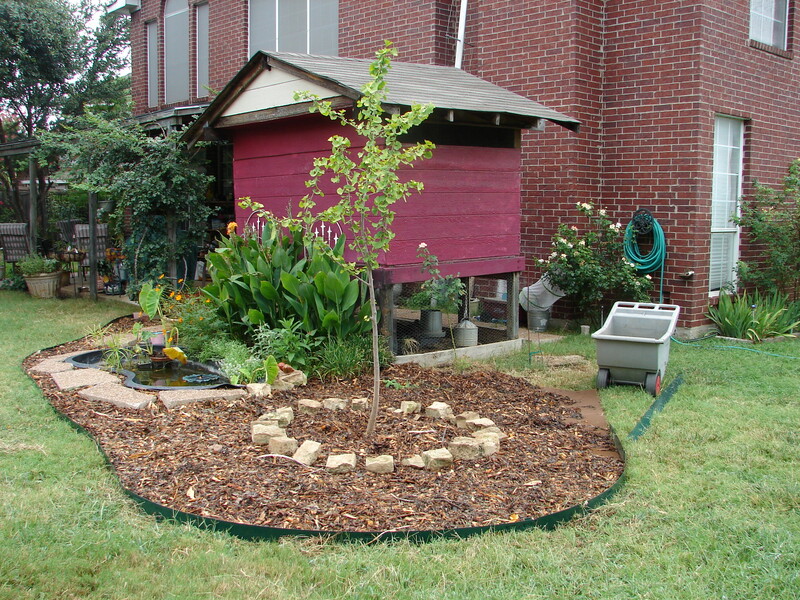 And since the mulch is so hot, I really can’t put it out around plants quite yet. BUT – I can put it out in the bed where I want to kill a lot of grass!! Now when I say hot, what I mean is literally HOT. It is steaming. There is so much microbial activity breaking down all that fresh organic matter that it gets really hot. To protect the other plants that I really don’t want to kill, I had put down other mulch and there is also a thick buffer layer of cardboard. The pond is starting to come around. 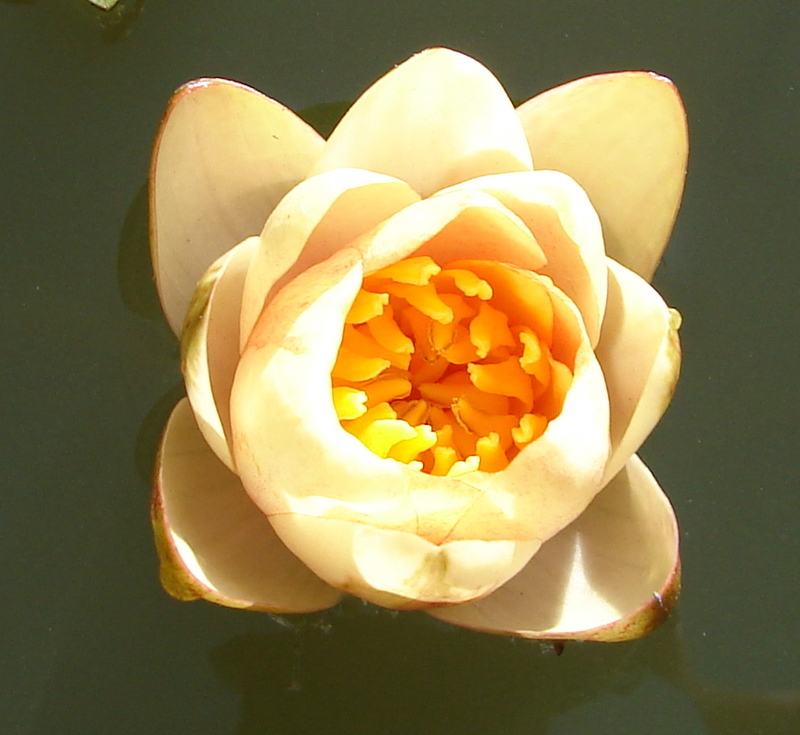 The water lilies have started blooming. The water is still pretty green from the algae bloom, but it is getting better. I would do EVEN better if I would remember to keep it treated. And filed under lessons learned: don’t forget to turn off the sprinkler… especially if it is falling into the pond. Chlorine killed off all of our “mosquito fish” and all but three of our gold fish. I will have to go get more of the mosquito fish. We can’t be breeding mosquitoes! We do have to watch the level of the pond though. Evaporation has been incredible lately! Luckily we got some rain last night and this morning. We could use a lot more. 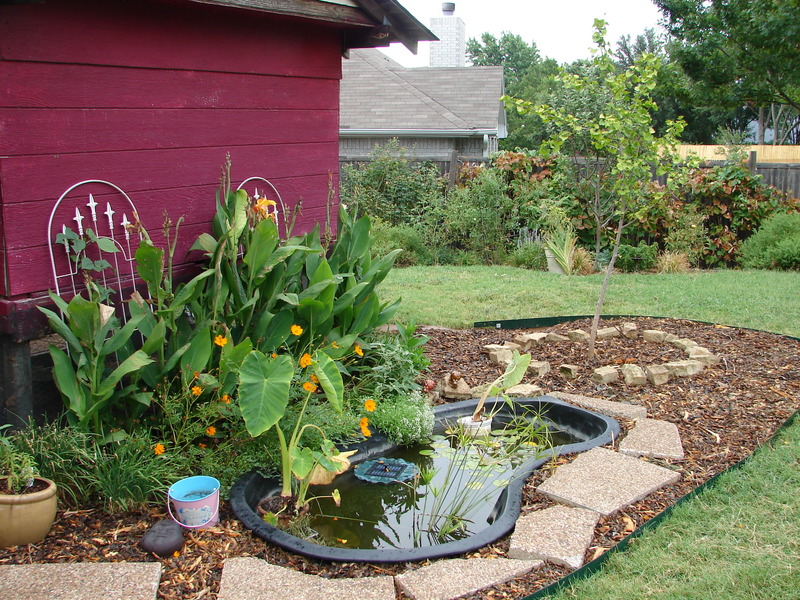 But I still need to keep several buckets of water de-chlorinating to refill the pond with. We are not quite done with the project. It will eventually wrap all the way around the chicken coop and meet up with the irises. That will make mowing SO much easier.. and weed-eating too. And there should be less ending up in the pond. The cannas have almost recovered from the tornado and look a little less battered. Maybe by fall, everything will be pretty again. We made five gallons of grape juice this weekend! I would love to think that I could put some up and save it, but who am I kidding? Half of it is already gone! Grape juice is incredibly easy to make. 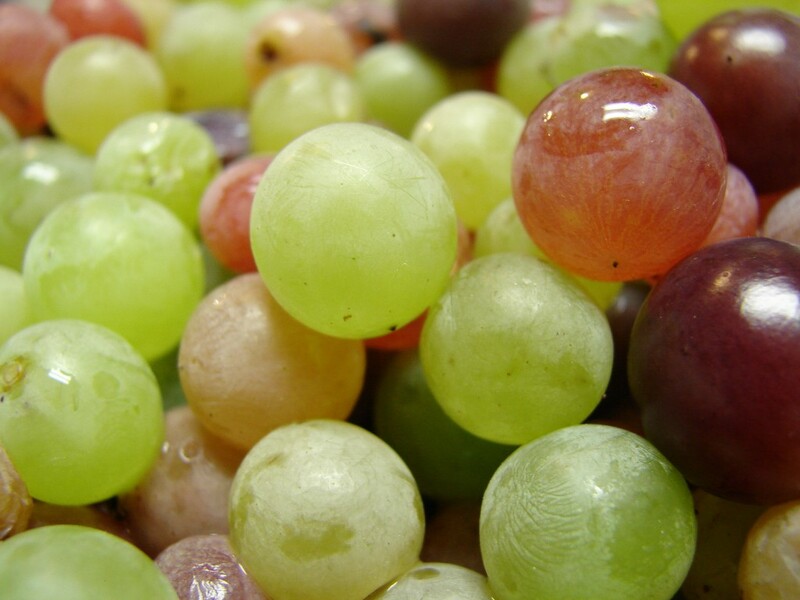 All you have to do is wash the grapes and add water just until you can see through the grapes. Add sugar or honey and heat on the stove until the skins pop. Let it cool and then squeeze (or smoosh) all the juice out. The honey definitely gave it a different flavor than the sugar. The kids seem to prefer the sugared batch better. We have a juicing stand that has a cone shaped collander and a wooden paddle just for the purpose, but John says that his grandmother used to squeeze and drain them through a cheese cloth (or pillow case or something). Ours could have been filtered a little more. We left it rather pulpy, but I love that earthy flavor. LEWISVILLE/FLOWER MOUND Blog | The Dallas Morning News. If you have an interest in Denton County’s history, check out the Minor-Porter Log House in the Lewisville Lake Environmental Learning Area. Built around 1869, the cabin has been completely restored and furnished with all the trappings of frontier life. Tours by knowledgeable volunteers, according to a city news release, will be from 10 a.m. to 1 p.m. July 18. There’s no charge, except for the $5 entry fee to the Environmental Learning Area. This 2,000-acre wildnerness is open to the public every Friday, Saturday and Sunday. To learn more, call 972-219-3930 or click here. This could be a lot of fun when the weather cools down!